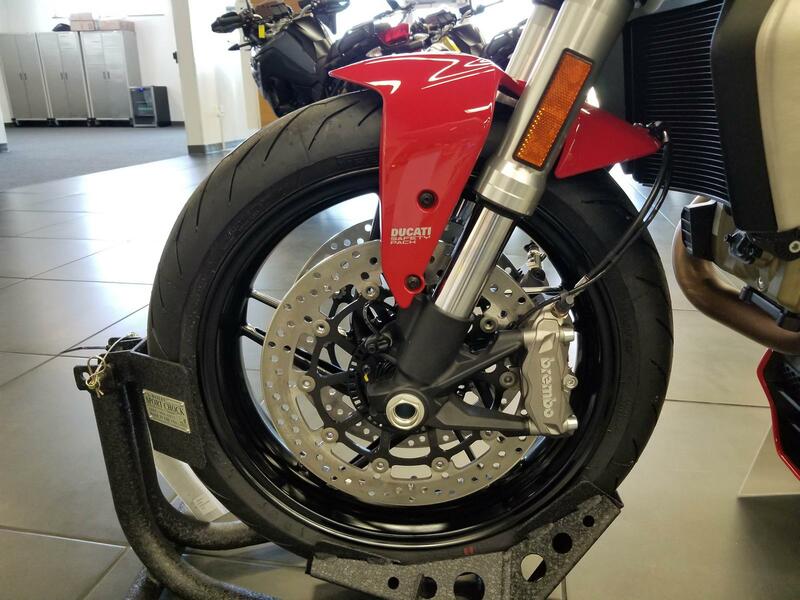 Demo Bike Now Available For Sale! 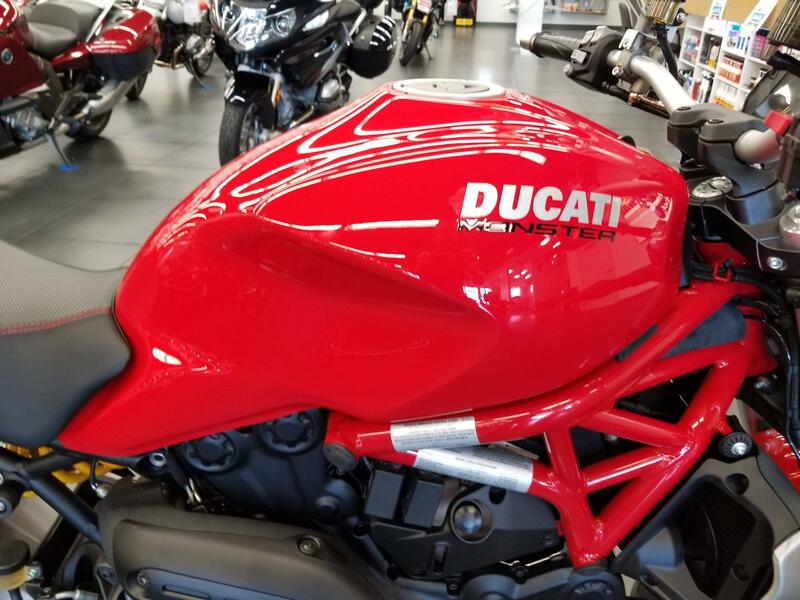 Instantly save $3,000 off MSRP! 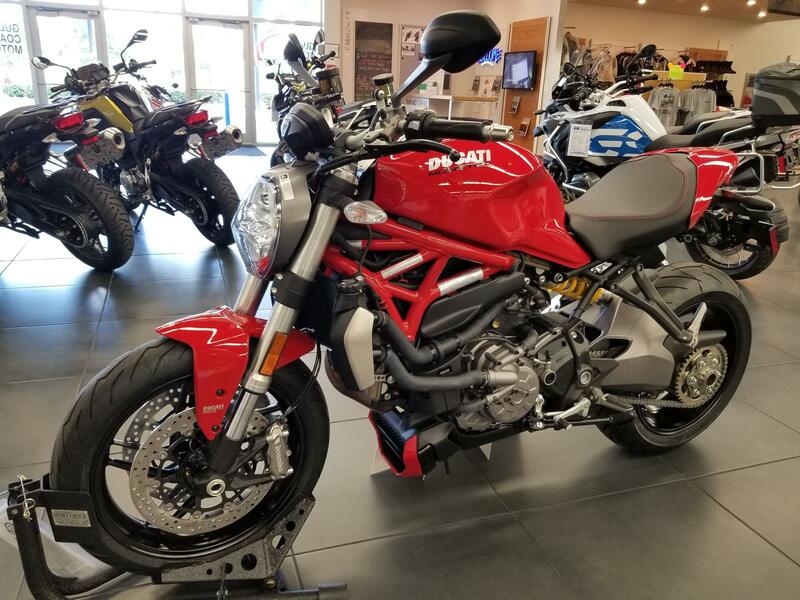 The new Monster 1200 fully embodies those values that have seen bikers’ hearts race for over 20 years. 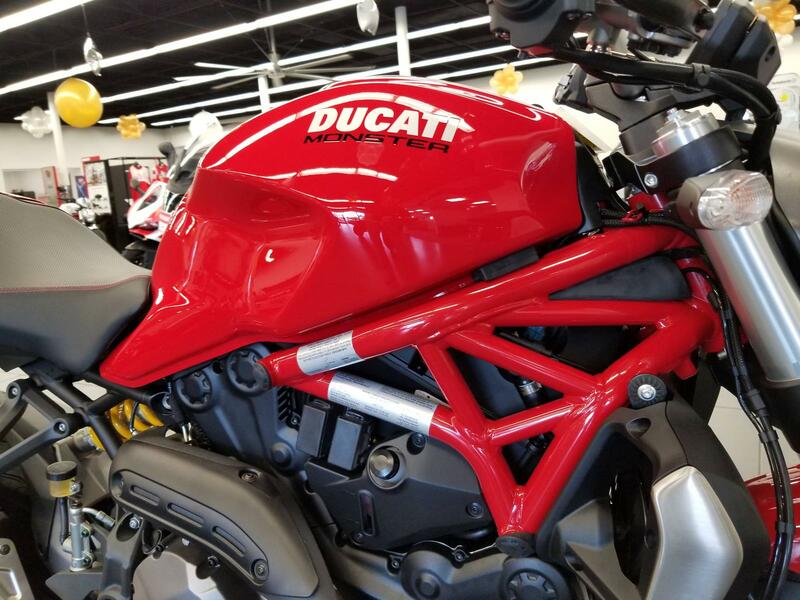 A sports icon that is totally renewed while staying faithful to the values that have made it unique: even more beautiful, even more technological, still unmistakeably Monster. 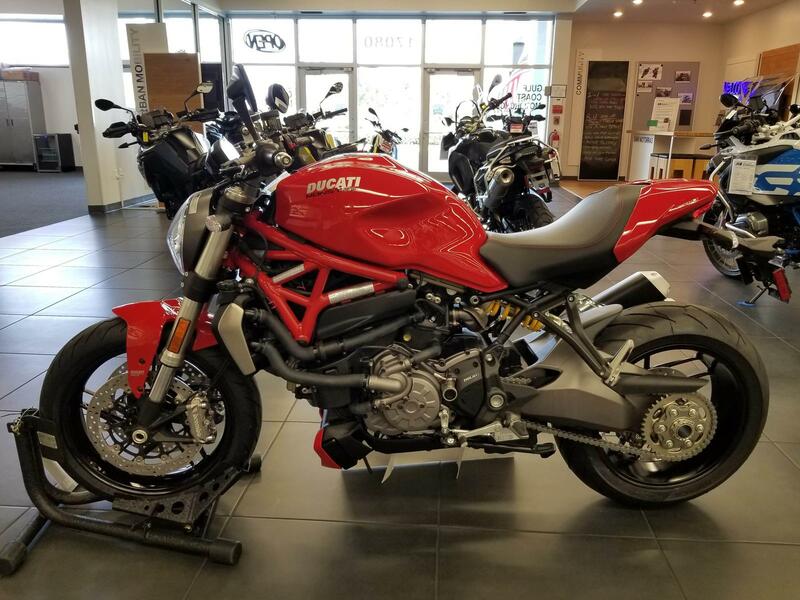 A contemporary icon: The new Monster 1200 has been redesigned to make it more compact, slimmer and with sportier proportions. 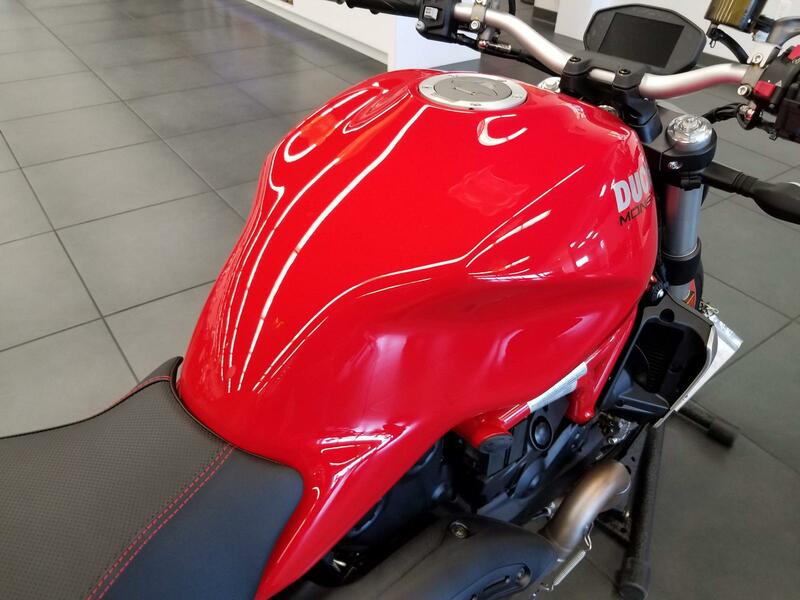 The lines and the volumes unmistakably recall the legendary Monster, reinterpreting it in a contemporary way. 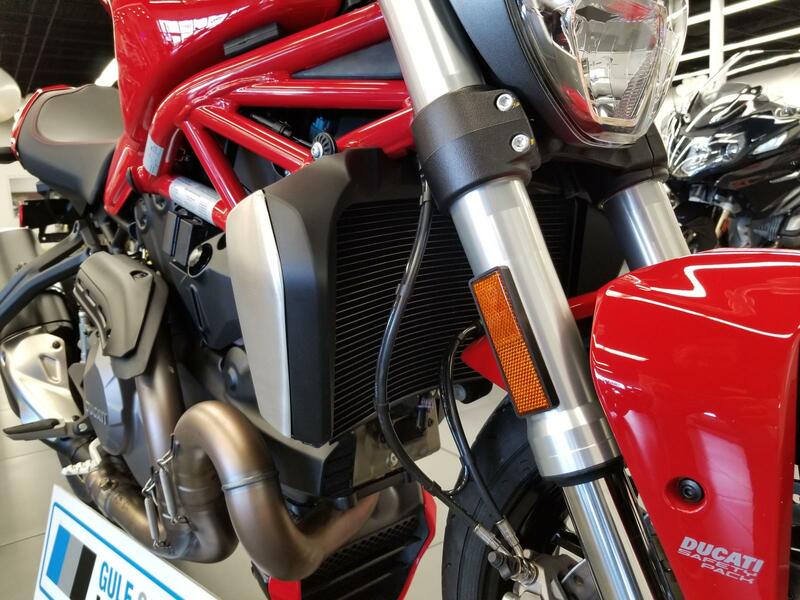 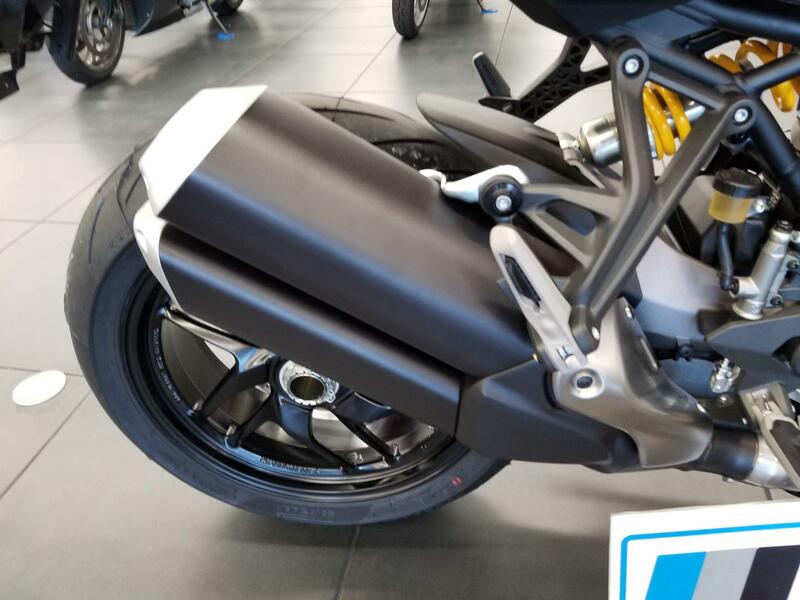 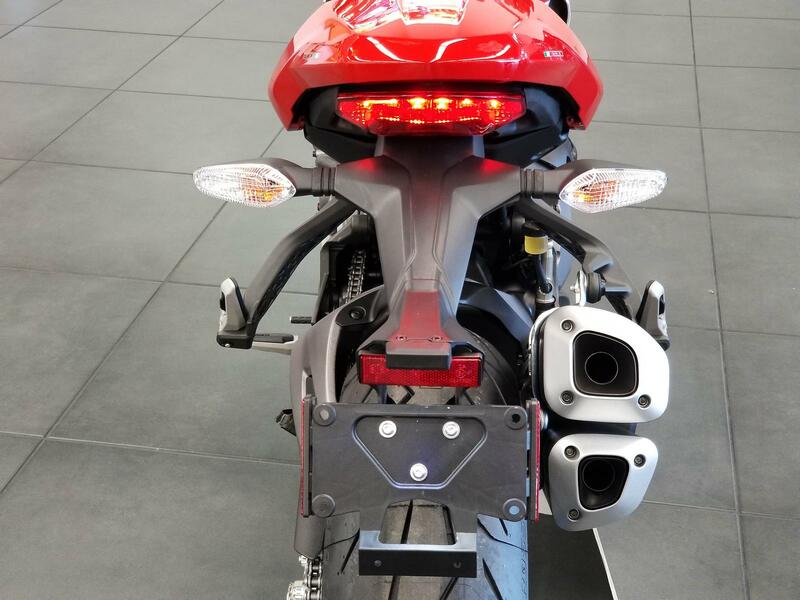 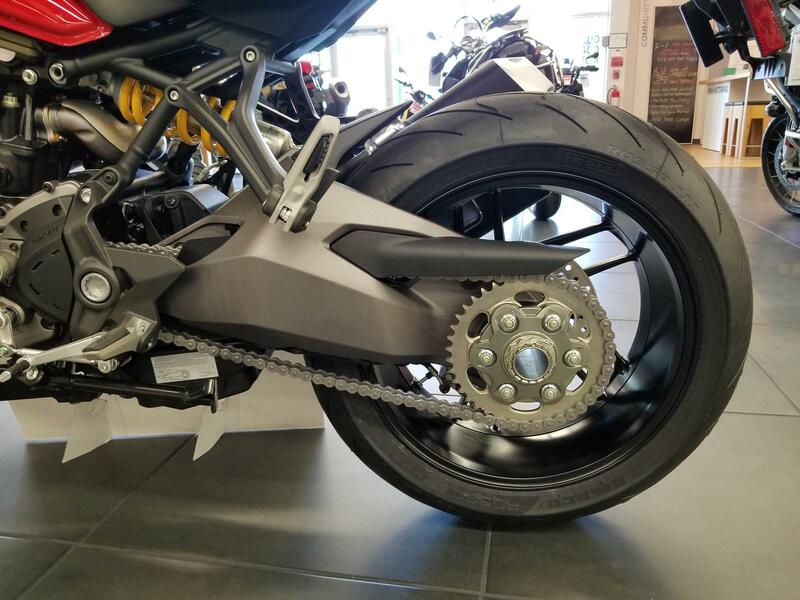 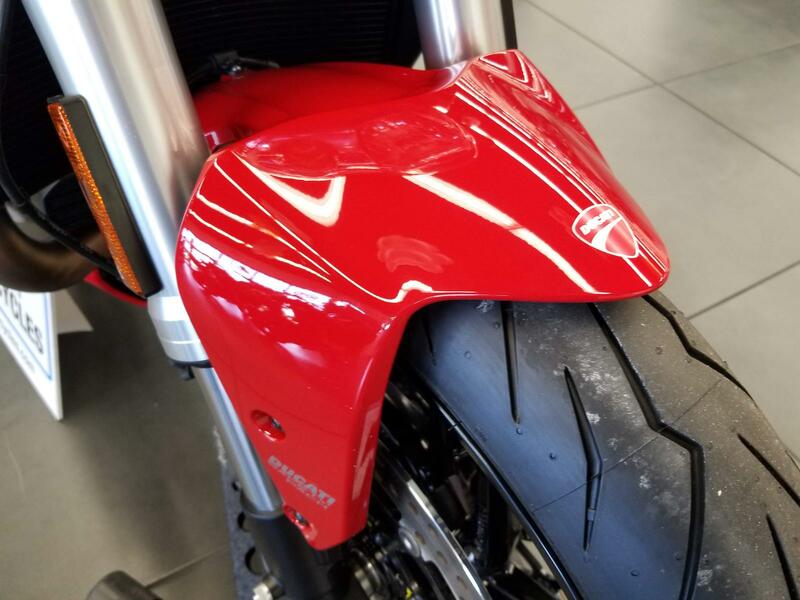 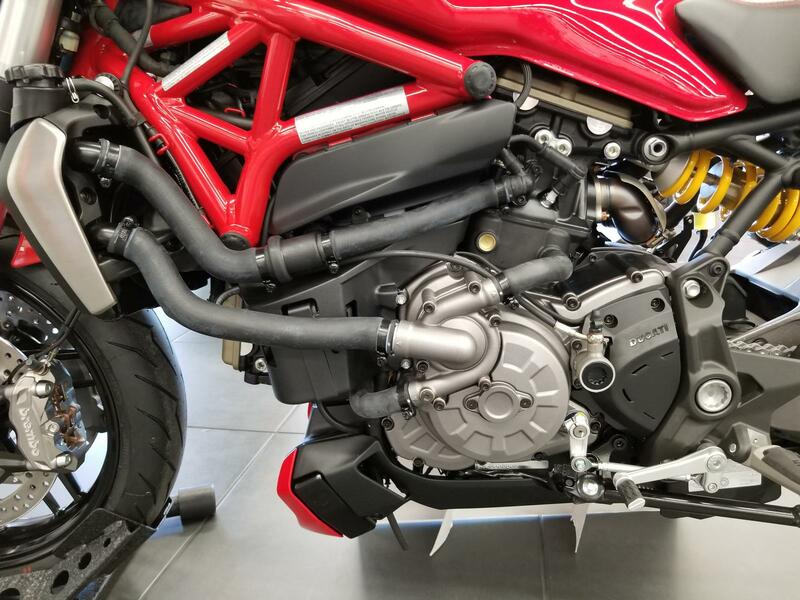 Moreover, the new Monster 1200 sees the return of the tank hook that was included on the first Monster designed by Miguel Galluzzi. 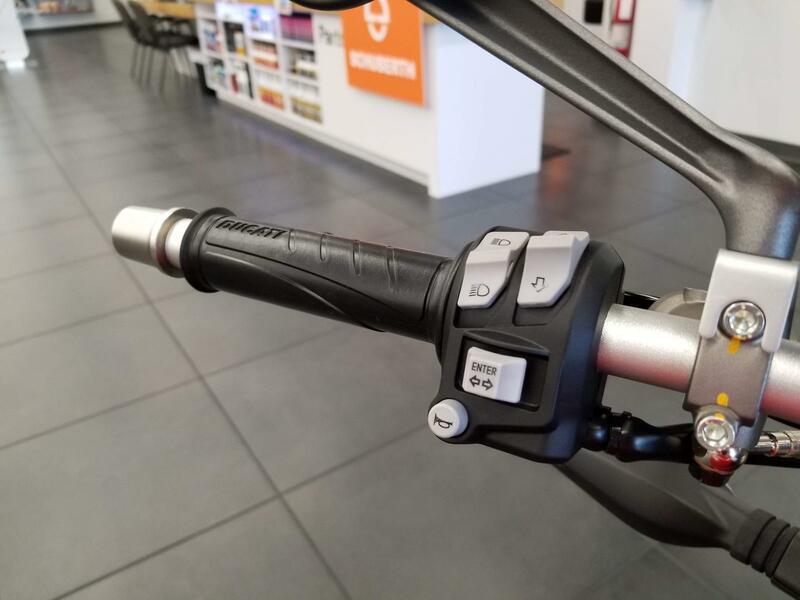 Adapt it to your riding style: The pre-set Riding Modes allow the rider to optimise bike behaviour depending on riding style. 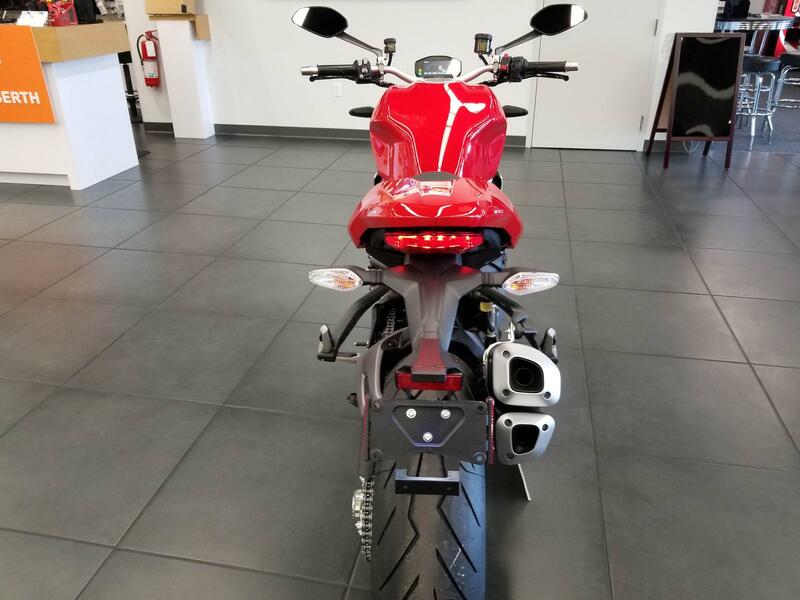 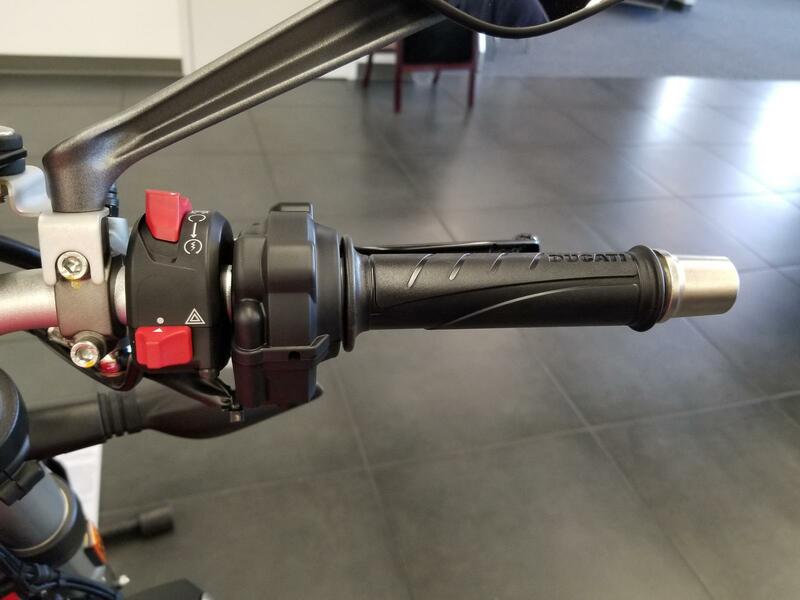 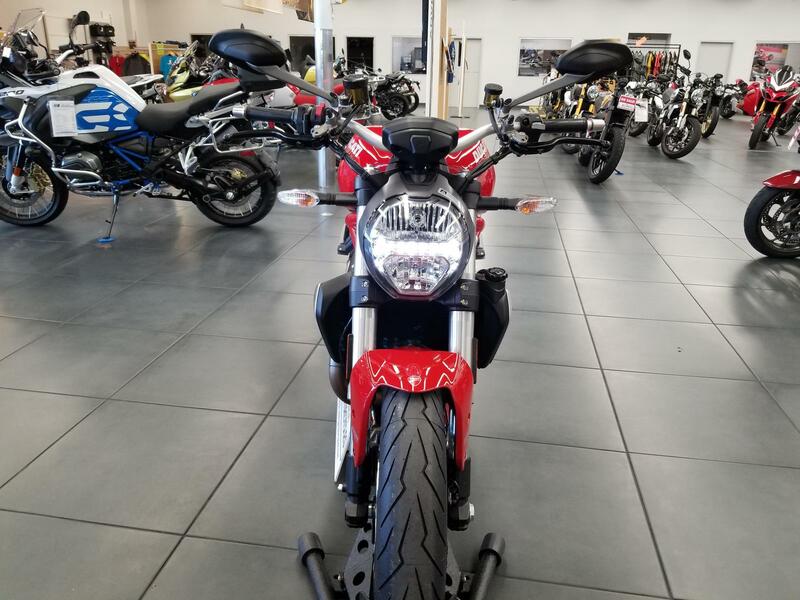 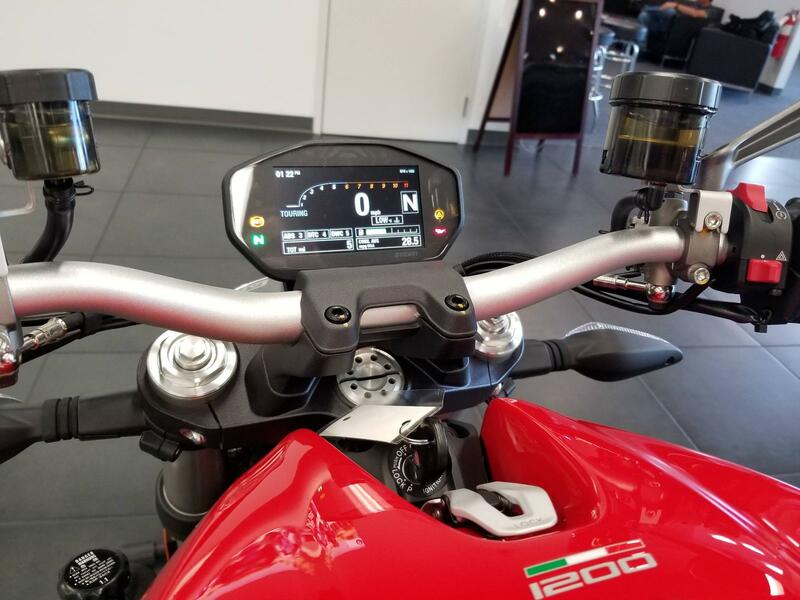 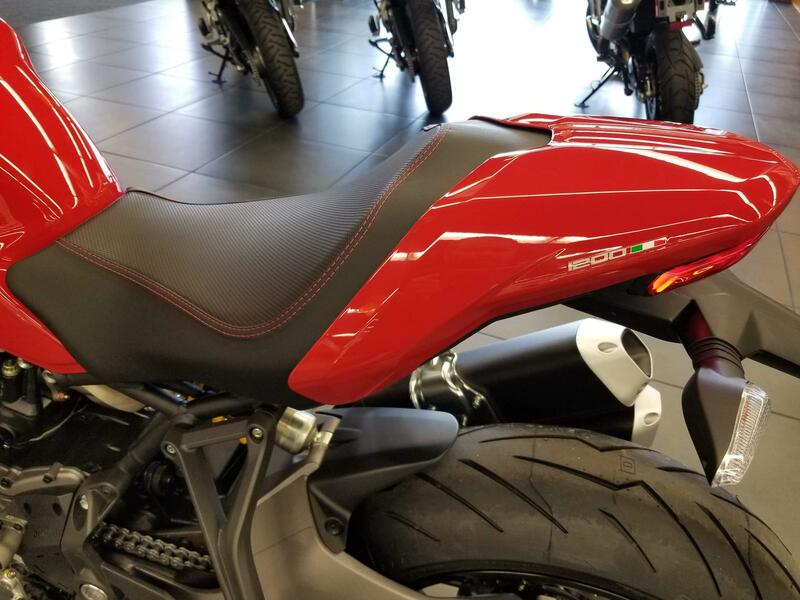 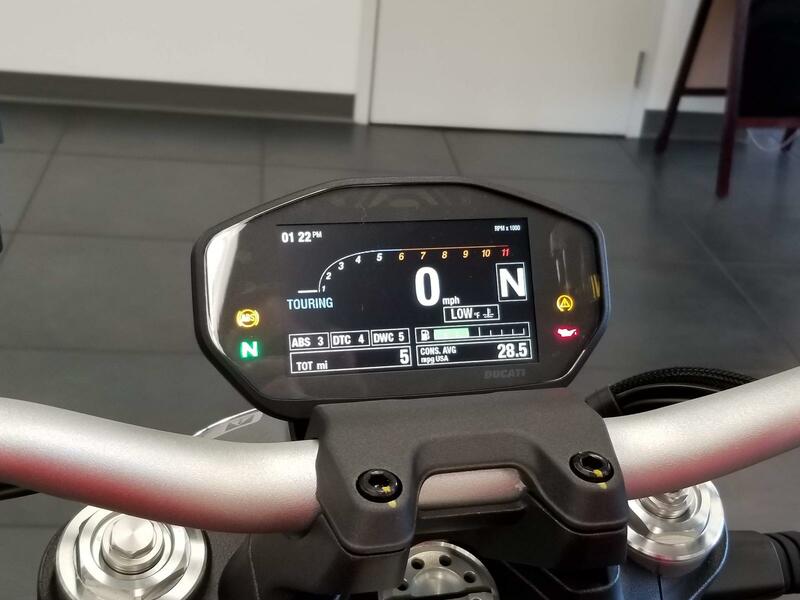 Each of the three Riding Modes (Sport, Touring and Urban), is programmed to act on the electronic Ride-by-Wire (RbW) engine control system and on the ABS, Ducati Traction Control and Ducati Wheelie Control intervention levels. 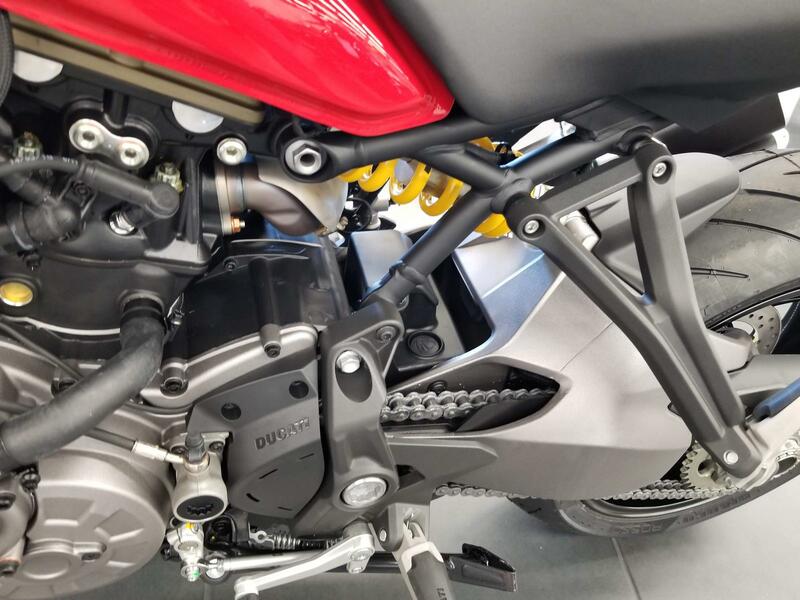 Endless excitement: The cutting-edge materials and technologies of the Ducati Testastretta 11° DS ensure particularly long maintenance intervals. 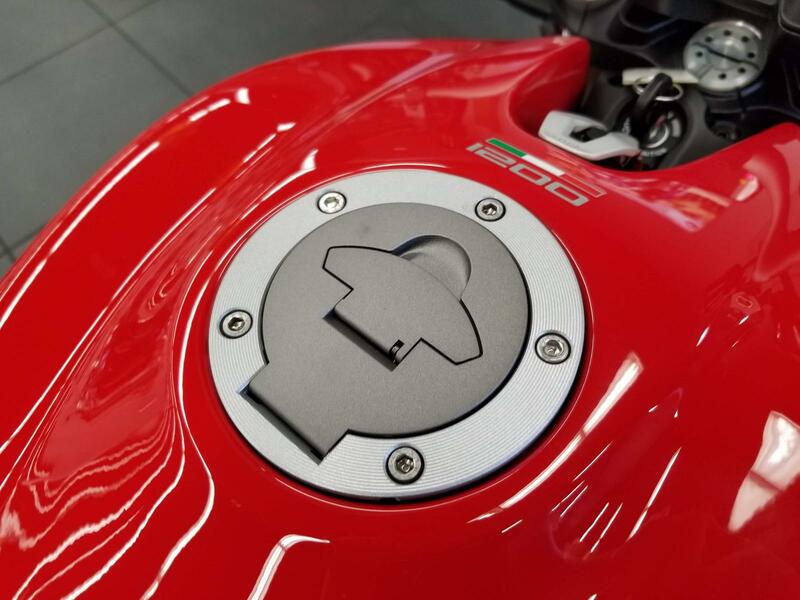 With an oil change required every 15,000 km or 12 months and valve clearance check every 30,000 km, the values are of absolute reference for its category. 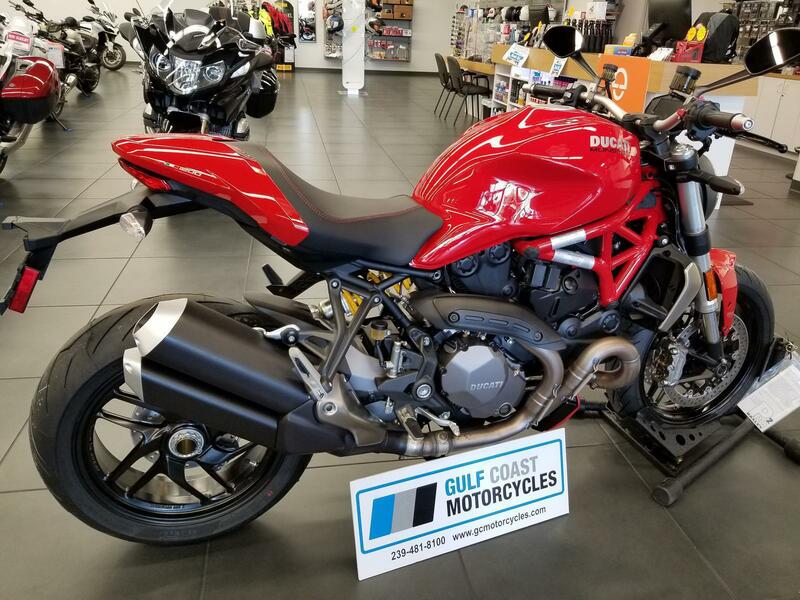 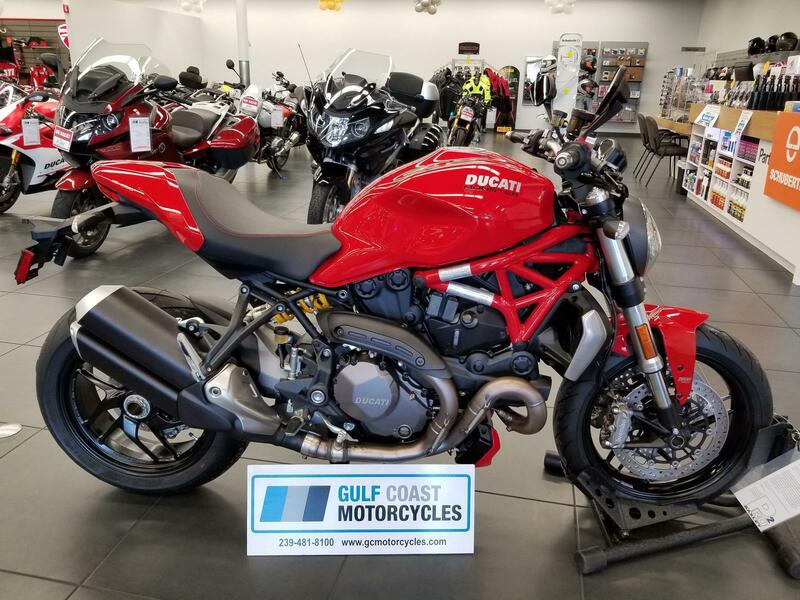 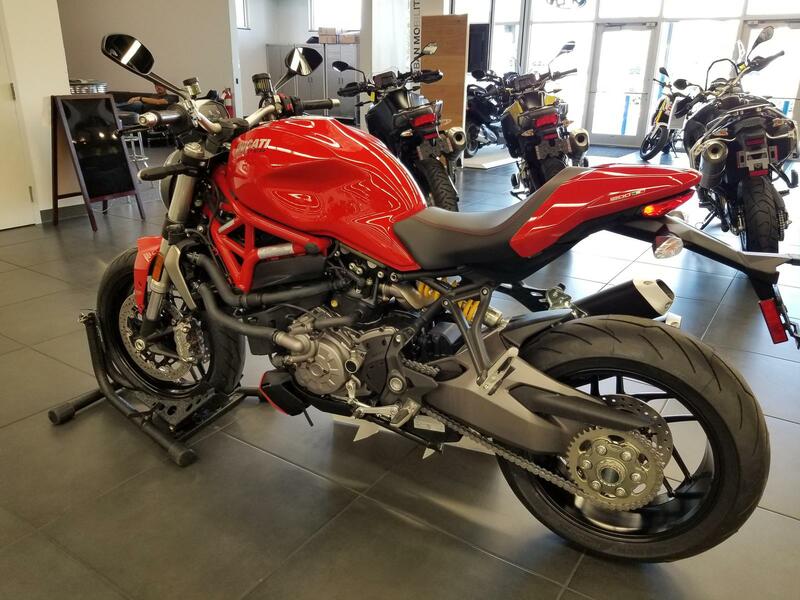 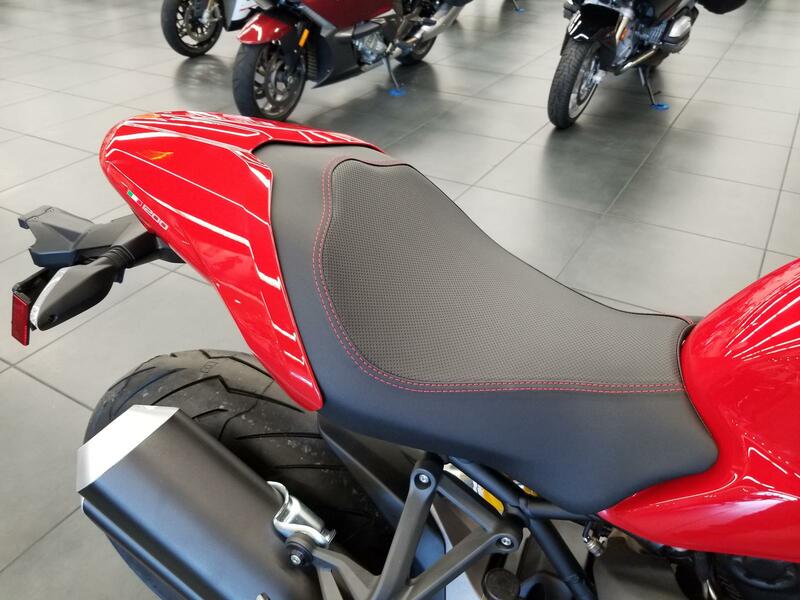 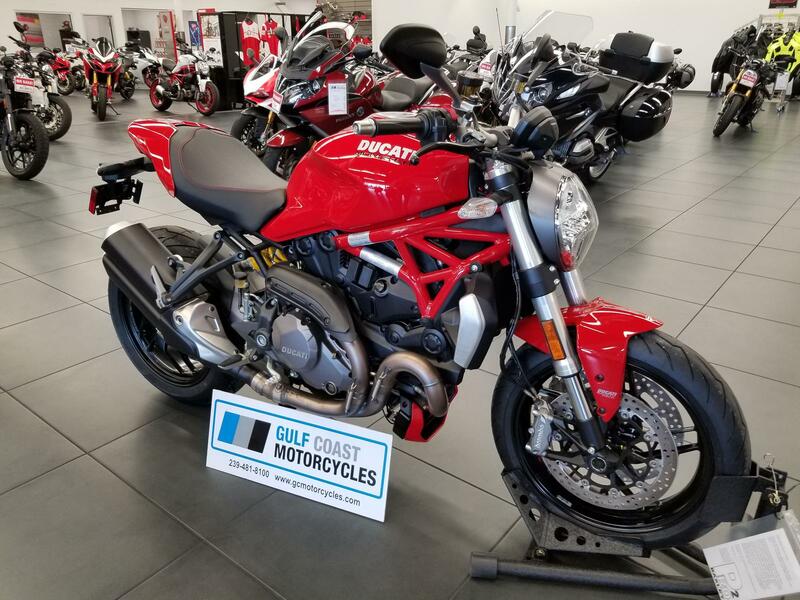 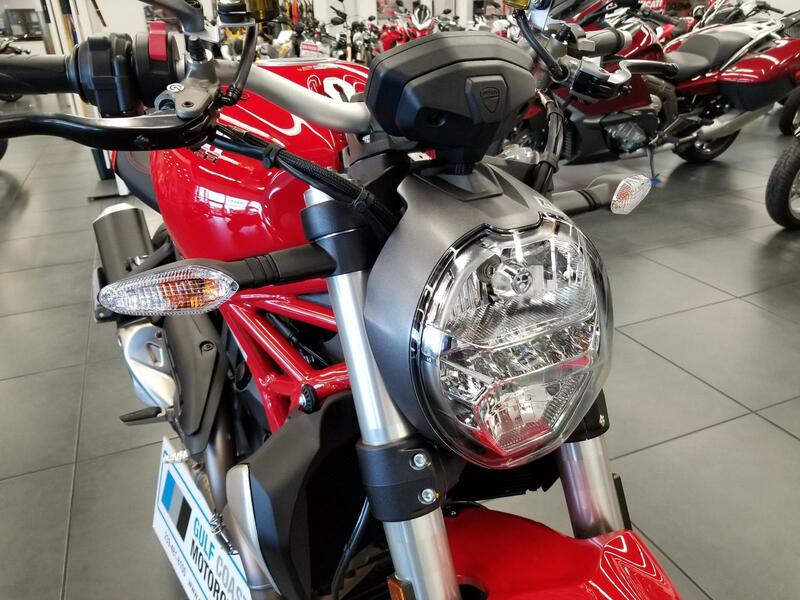 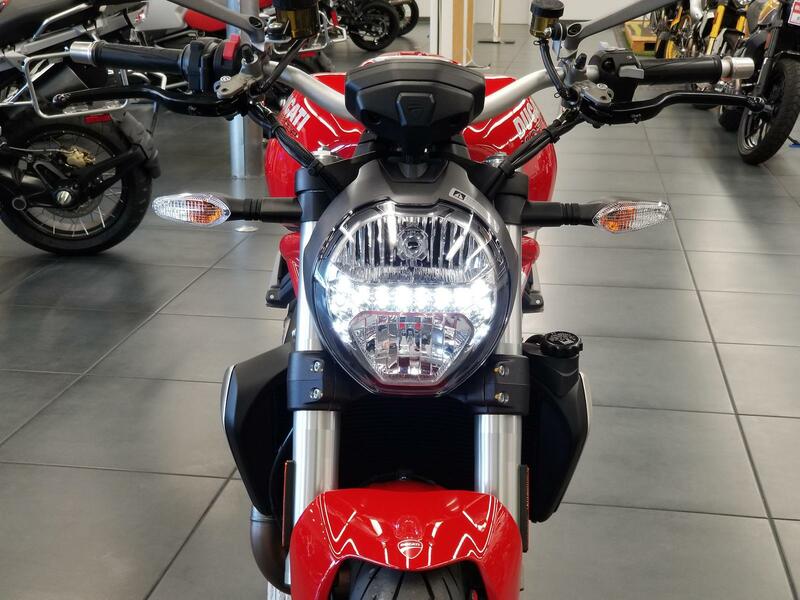 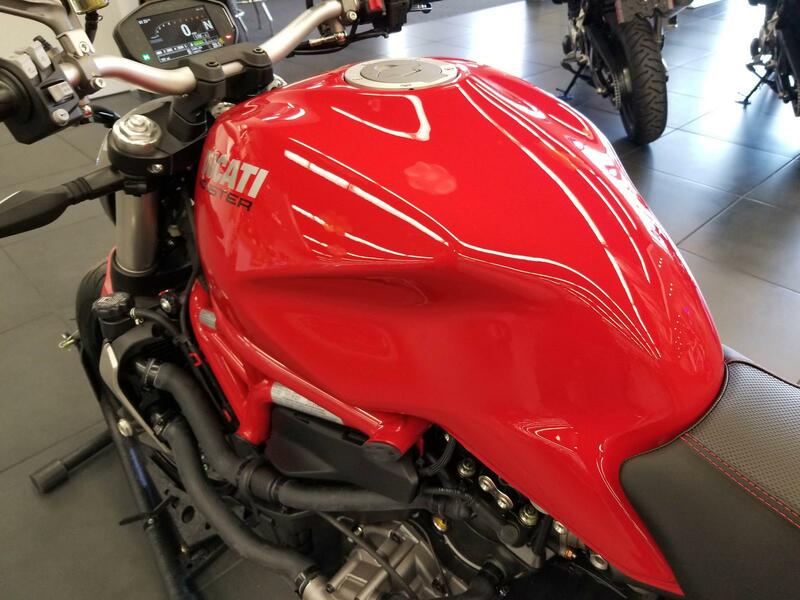 Standard Equipment: The standard equipment of the Monster 1200 includes: Cornering ABS Bosch, Ducati Traction Control (DTC), Ducati Wheelie Contronl (DWC), Riding Modes, Power Mode, Ride by Wire, passenger seat cover, LED lights. 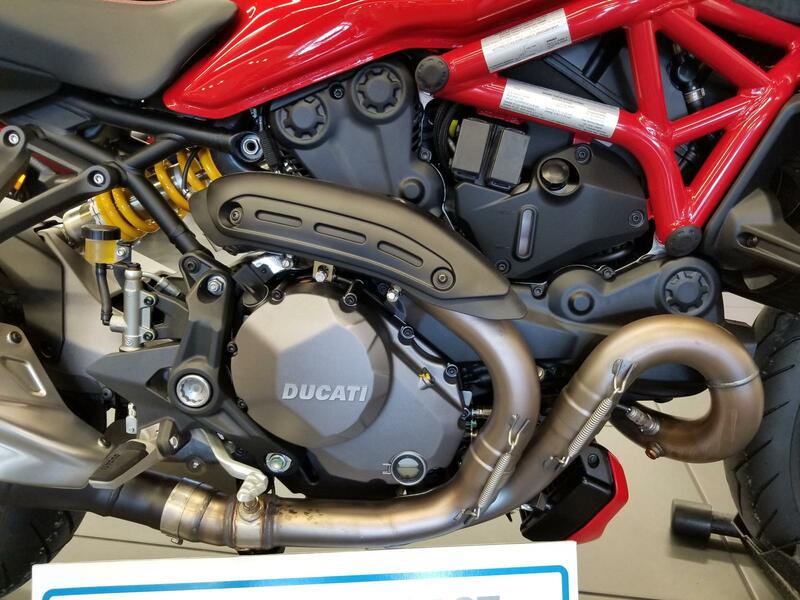 Notes on power/torque: The power/torque values indicated are measured using an engine dynamometer according to homologation regulation and they correspond to the homologated data, as quoted in the Bike Registration Document. 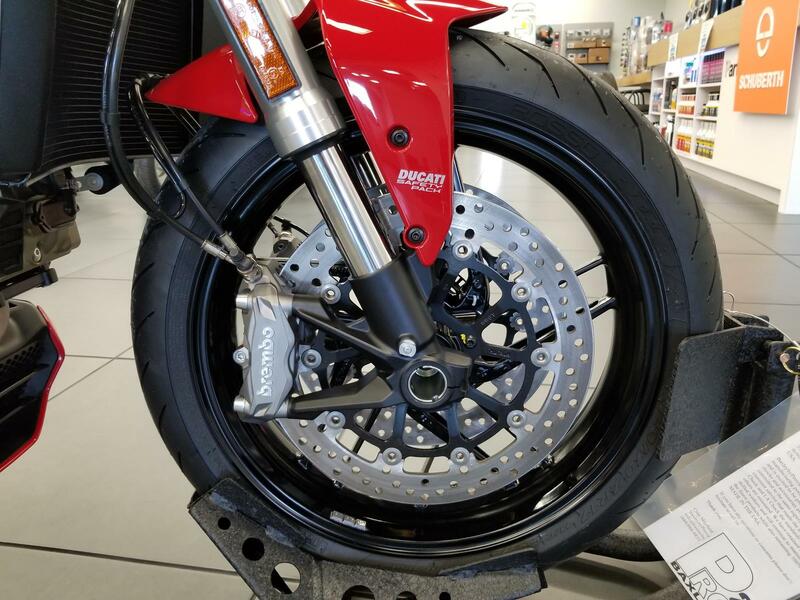 Front Wheel: 10-spoke light alloy, 3.50 in. 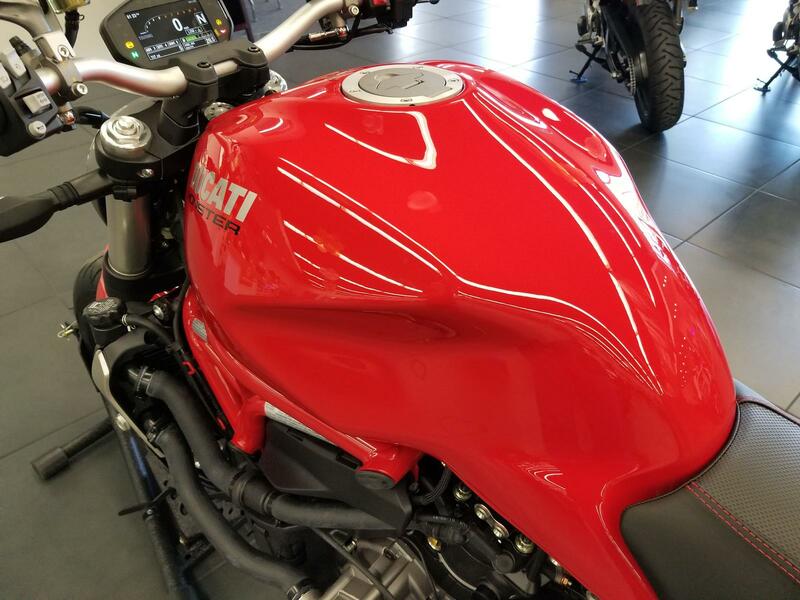 x 17 in. 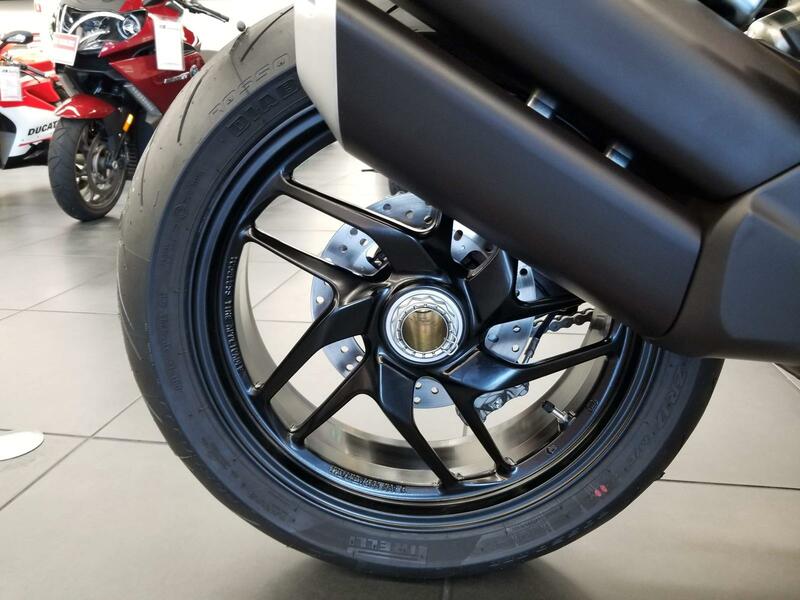 Rear Wheel: 10-spoke light alloy, 6.00 in. 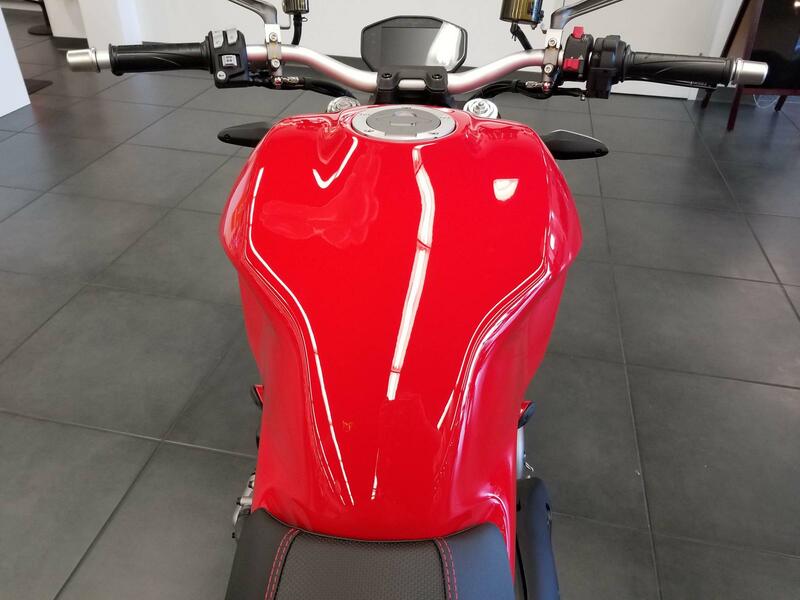 x 17 in. 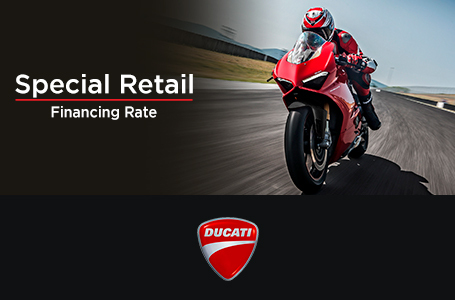 Note: Only for countries where Euro 4 standard applies.